M4A to MP3 Converter is a DRM protected audio and music conversion software which can convert protected iTunes M4P, M4A Files, DRM WMA, DRM protected AAC to plain Audio MP3, WAV, WMA files ready for use on any computers or mobile music devices such as iPod, iPhone, PSP, Zune, cell phone, MP3 player and car MP3 CD players, etc. 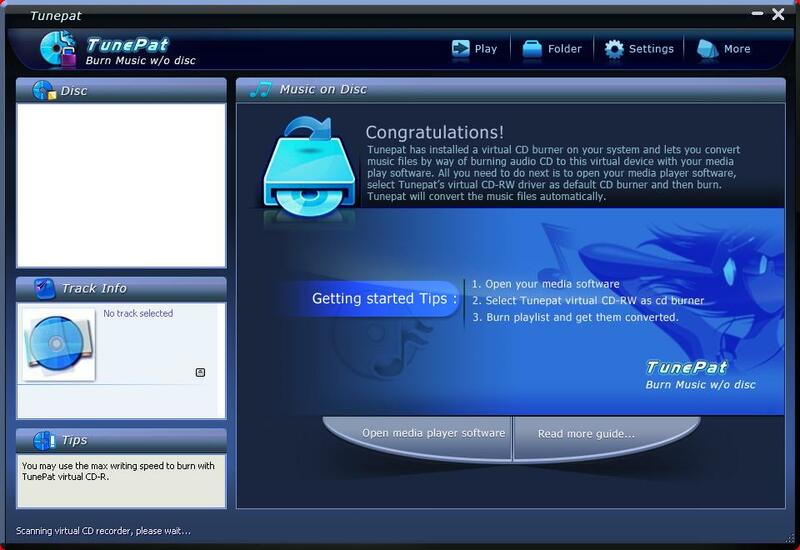 It uses the Virtual CD burning technology which emulates the whole workflow of burning music to normal CD-R/RW disc. M4A to MP3 Converter can convert DRM protected M4A music to MP3 files. ...... the fastest speed. Its ability to convert DRM protected music files into regular MP3 files makes it a perfect solution for people who purchase their music online but have compatibility issues with their MP3 player. M4A to MP3 Converter can convert M4A to MP3, MP4 to MP3, M4P to MP3. M4A to MP3 Converter can also convert M4A, AAC, MOV, MPEG-2, MPEG-1, WMV, WMA, OGG, WAV, 3GP, etc. to MP3 files. M4A to MP3 Converter can convert M4A to MP3, MP4 to MP3, and other video or audio files to MP3 files. M4A to MP3 Converter can also convert other media files to MP3 files, these media files may include WAV, OGG, WMA, WMV, ASF, ASX, MPEG-1, MPEG-2, MPEG-4, MP4, M4A, AAC, MOV, QT, 3GP, and so on. * An M4A to MP3 Converter which is easy to use with high converting speed. M4A to MP3 Converter can convert M4A to MP3, MP4 to MP3 easily and on-the-fly. Qweas is providing links to M4A to MP3 Converter 1.20 as a courtesy, and makes no representations regarding M4A to MP3 Converter or any other applications or any information related thereto. Any questions, complaints or claims regarding this application M4A to MP3 Converter 1.20 must be directed to the appropriate software vendor. You may click the publisher link of M4A to MP3 Converter on the top of this page to get more details about the vendor.